Kayla and I ventured to the Oregon coast for a sunny and relaxing vacation. On the way there, I dropped by Powell’s City of Books in Portland and sold two copies of Sophie and the Magic Flower to them. Exciting! 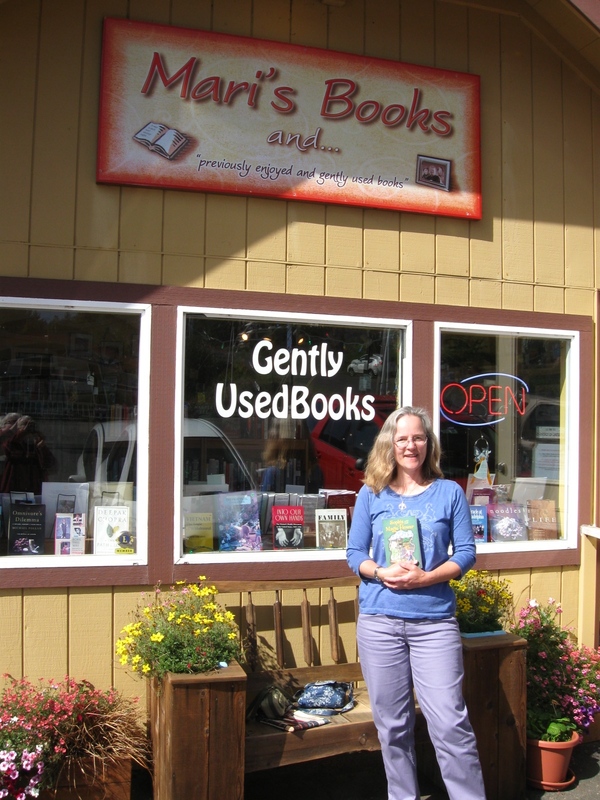 Because I’d heard so much about the bookstore, I was thrilled to check it out in person AND have them take my book. I handed out some promo postcards to the staff as well. Later, between having fun hiking, watching sunsets and whales, walking along the beach to the sound of crashing waves, blowing my own glass float, and eating lots of fish and chips, I found several small books stores along the coast. 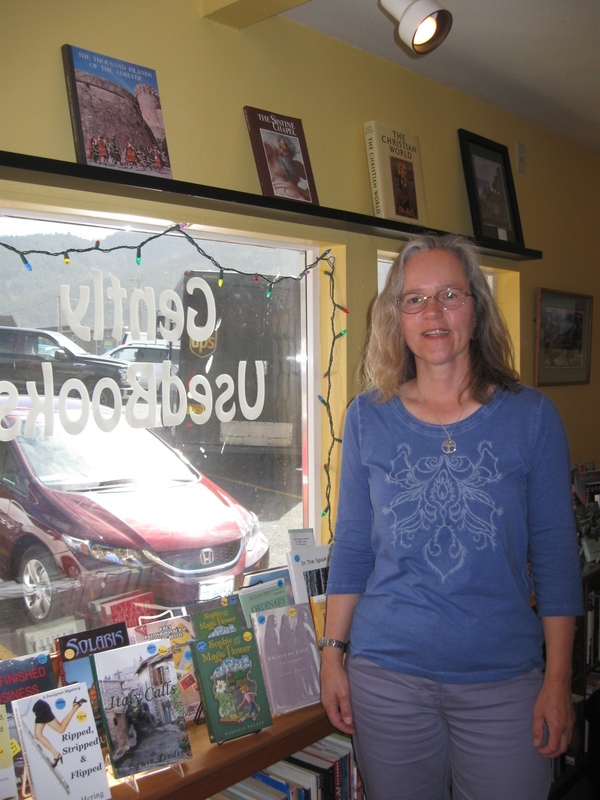 Mari’s Books is a quaint store nestled between other stores along Hwy. 101 in Yachats. They normally just take local authors’ books, but Mari was supportive and made an exception, since I was staying in the neighborhood for more than a week. Very sweet and encouraging! Now back home again, I’m ready to jump into writing the next novel, the followup to Sophie and the Magic Flower. I’ll be using November (National Novel Writing Month aka NaNoWriMo) to get the bulk of the story out of my head and into the computer. Stay tuned for more on that.